THE ARCH IS FALLING APART: Last week Baltazar Enriquez, Vice-President of the Little Village Community Council, informed me that the Little Village iconic arch at 26th St. & Albany Ave. is falling apart. I went to the arch to see and what I saw I couldn’t believe. The arch is in bad shape. Bricks are missing; a slab of concrete has fallen, there is graffiti, broken lights, and holes in the walls. A plaque that lists the names of the businesses that donated to the arch is dark and unreadable. It is unacceptable that the arch has been neglected, vandalized and in desperate need of repair. labor and material with an additional $50,000 donated by the Little Village Chamber of Commerce for material. The dr/Balti Contracting Co. was owned as a partnership between Ronald J. Balterria and David Ramirez, both Vietnam veterans, and the builders of the Arch. ON WEDNESDAY, August 1, 2018, I invited Ron Balterria and David Ramirez to come to Little Village and visit the arch. I wanted them, the original builders, to tell me what they thought of the damage. Ramirez said: “A public structure like the arch should be looked at once a year and maintained every two years. “TO SET UP and take down the scaffolding cost $15,000-$20,000 with Union labor. Plus, we did not stop traffic. It took us 5 to 6 months to build the Arch,” said Ramirez. BALTERRIA NOTICE someone removed the polished granite that was on the bottom of the Arch. “Taking the granite off was a bad move because granite last forever as opposed to concrete slabs. And the polished granite cost a lot of money.” said Balterria. August Sallas and David Ramirez pointing to missing piece of the Arch. RAMIREZ added: “When we completed the job and submitted our last pay request of $22,000, we never received the payment from the city.” Adrian Lozano, the Mexican architect, and Designer of the arch, had given us his final approval, upon completion of the project, for payment; the city also owes Lozano $6,000 for his work. “Both the City inspector and the Little Village Chamber of Commerce gave their approval of final completion,” said Ramirez. Lozano is now deceased. BALTERRIA SAID, at that time we were dealing with the President of the 26th Street Chamber of Commerce, President Anita Villarreal. “We had many meetings with Villarreal and Lozano and gave Anita our final invoice for the city to pay us,” said Balterria. Anita Villarreal passed away in 2001. “THE CLOCK from Mexico was not part of the arch”, said Ramirez. 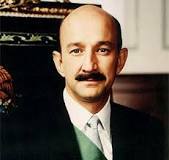 Former President of Mexico, Carlos Salinas de Gortari, donated the Centenario clock to the Mexican community. It was installed a year later but the arch electrical system was not conducive to the clock from Mexico and this was the reason the clock didn’t work for 28 years. In 2013, the Little Village Community Council raised the money to upgrade the electrical for the clock to work. 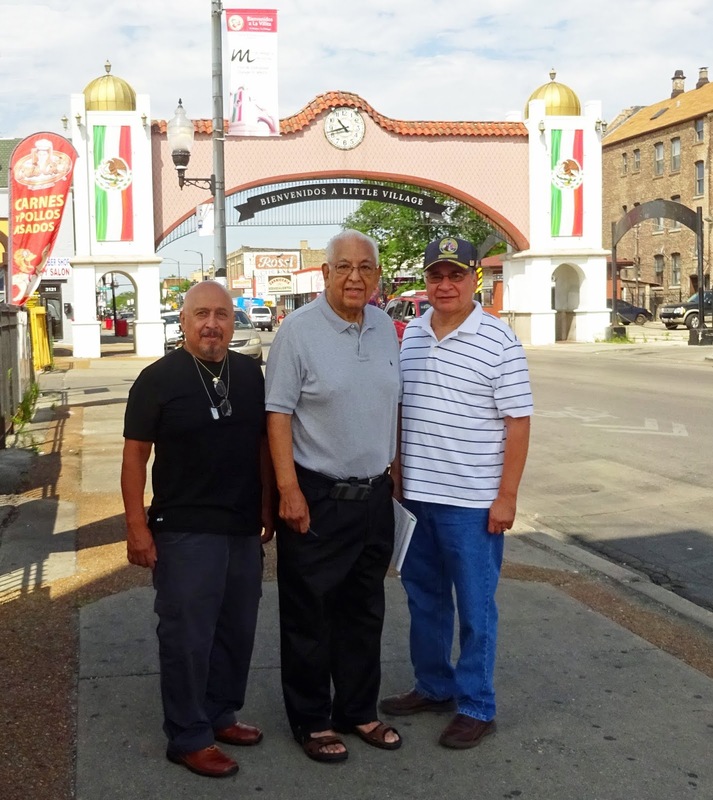 IT IS THE responsibility of the Mexican community of Little Village to support the restoration of the Arch. We must take pride in the Arch because it’s a culturally beautiful landmark in Chicago for the Mexican people. And it’s the entrance into the Little Village neighborhood. THE LITTLE VILLAGE Community Council plans to ask Ald. George Cardenas [12th Ward] for his support in asking the Mayor for financial help to restore the Arch to its original form. The Arch is in the 12th Ward.